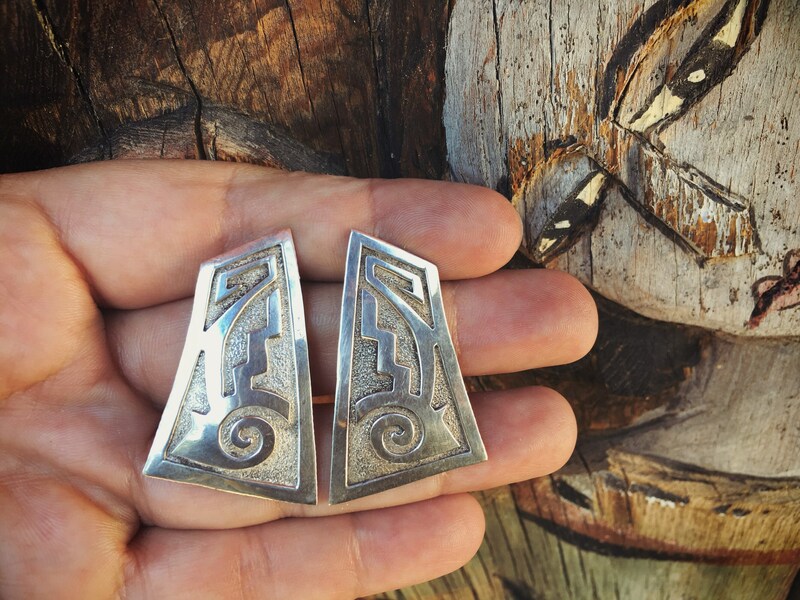 This pair of modernist sterling silver earrings are said to be Hopi. 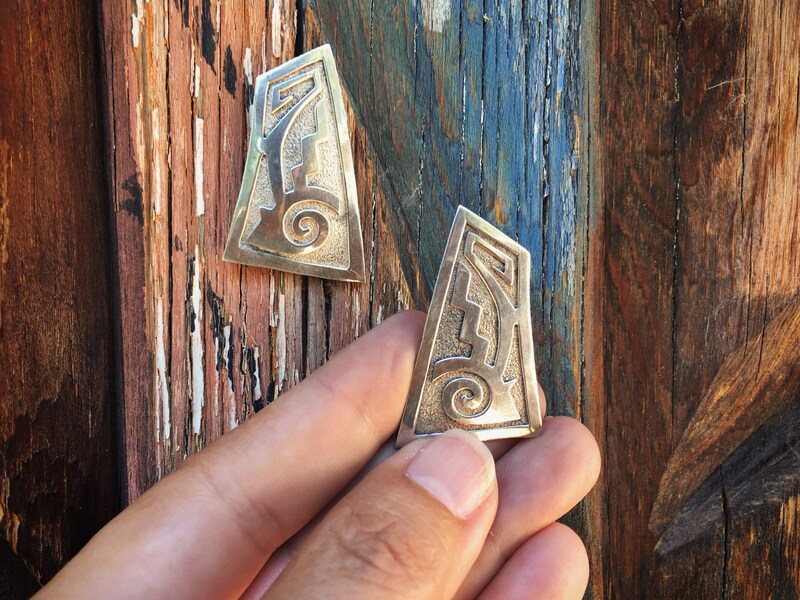 They are made via a method called "overlay," a technique that uses two pieces of silver, one with the cut out of often ancient and traditional designs and the other the foundation. The two pieces are soldered together, which is what overlay refers to. 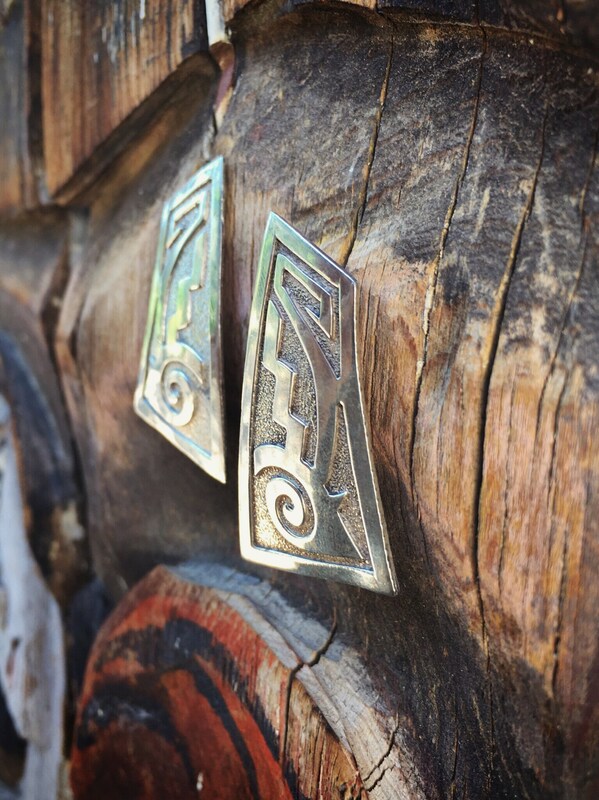 Silver overlay was introduced to the Hopi in the late 1930s through a project initiated by Museum of Northern Arizona Co-founder Mary-Russell Ferrell Colton and MNA Curator of Art Virgil Hubert in collaboration with two Hopi artists, Fred Kabotie and Paul Saufkie. The result is a contemporary look but the method is anything but new. It has been around for almost one hundred years, yet the style endures. 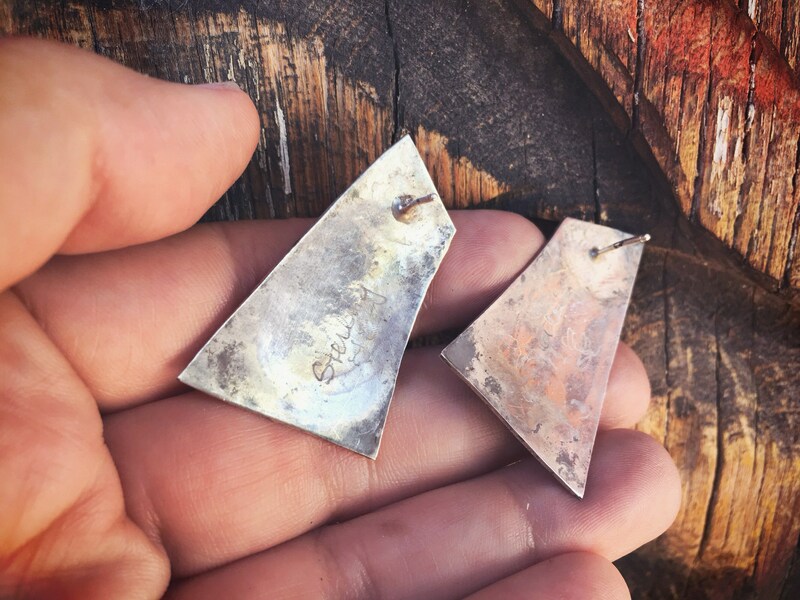 This particular pair has the word STERLING written in scratch or dremel and there is a faint signature of a spiral cloud underneath. 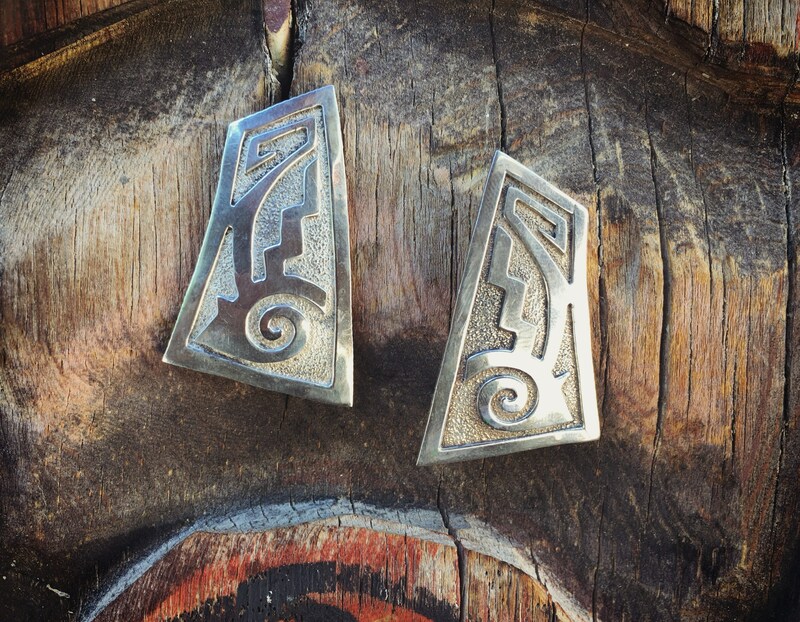 Hopi signatures are often symbols instead of letters. 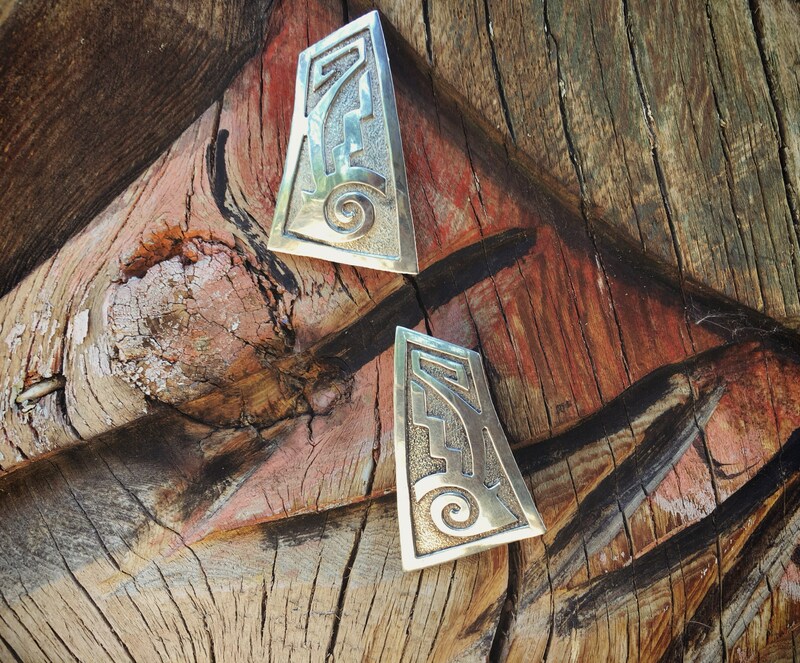 The earrings measures just under 1" across at the widest point by 1-5/8" long. Note that the post is placed about 1/4" from the top. 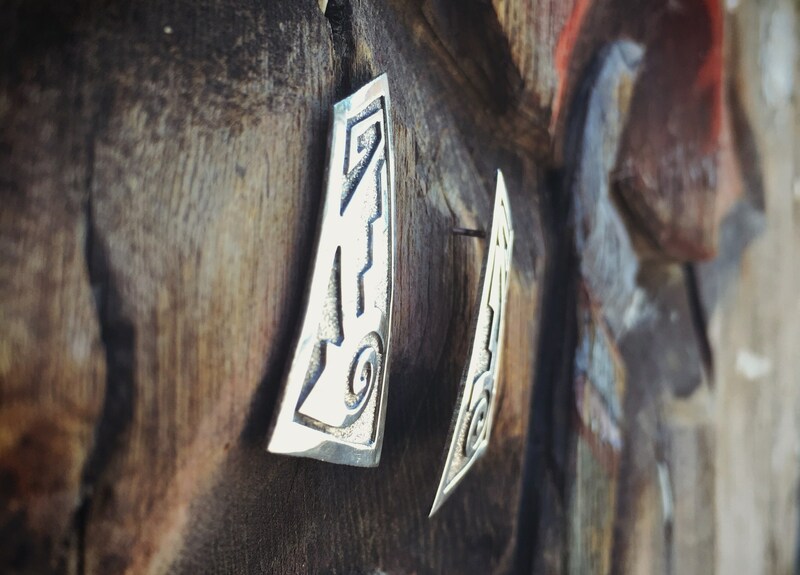 The silver has a few small scratches but otherwise in good vintage condition.